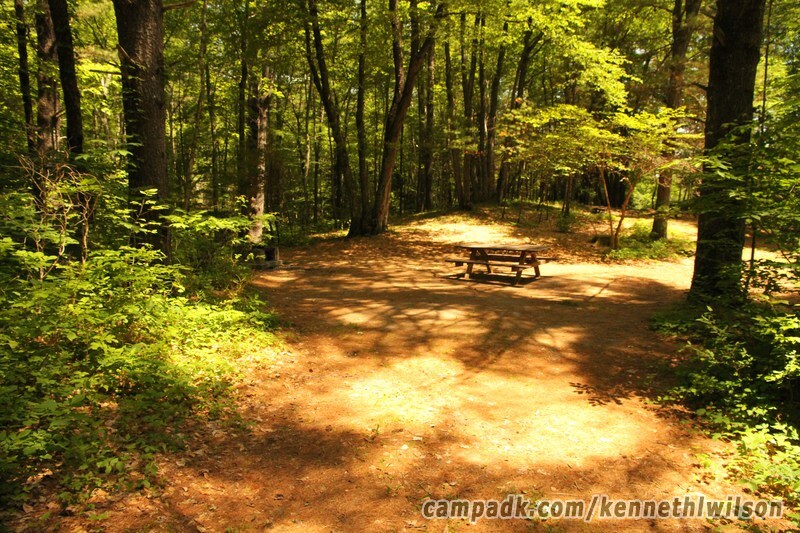 Completely surrounded by beautiful mountains with panoramic views creating a picturesque setting, Kenneth L. Wilson Campground is located in north central Ulster County, 5 miles southwest of the village of Woodstock. The campsites are secluded, and wooded. Most suited to 30ft trailers or less and tents. All 76 sites are reservable. None are on the water, There are NO electric sites. 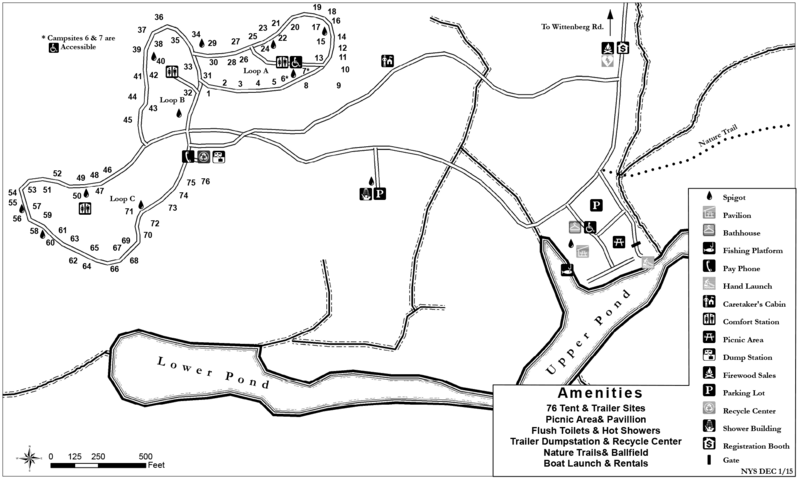 There is paddling and fishing available within the campground on Little Beaver Ponds (Upper and Lower). 1 out of 5 lakeside stars. Offers a nice camping experience with no sites near water but does offer paddling and fishing opportunities on a small pond. Water Small pond within campground. Paddling Small pond to paddle. Kayak and canoe rentals only. Note! The Weather frame below is for the Weather Underground site. This frame is provided for your convenience only. You might wish to open a separate window/tab instead to view Kenneth L Wilson weather in more detail. Note! The Weather frame above is for the Weather Underground site. This frame is provided for your convenience only. You might wish to open a separate window/tab instead to view Kenneth L Wilson weather in more detail. Note these comments are NOT particular to a specific campsite at Kenneth L Wilson !